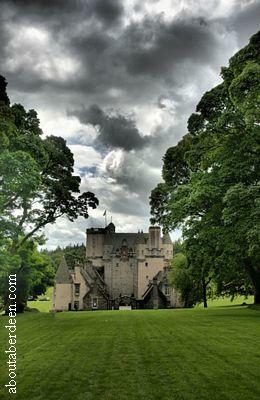 Since 2004 Castle Fraser has hosted the annual Steam And Vintage Fair. It is held in association with the Aberdeen Bon Accord Steam Engine Club and sponsored by EventScotland. Exhibitors, collectors and enthusiasts come from across the UK to the event and there is usually over 27 steam engines, over 80 tractors, fairground organs, lorries, classic and vintage cars, saw mills and motorbikes. The 2017 event takes place on Saturday 17 and Sunday 218 June from 10am. 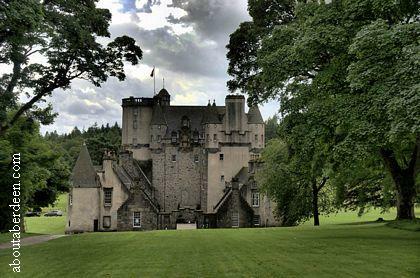 Offer - Balloon Flights over Castle Fraser. We would like to thank Mike Dearie for the Castle Fraser and Steam Rally photos. There is a large car park and caravans are welcomed. 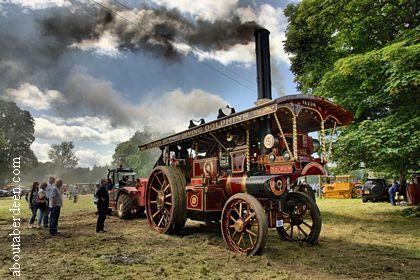 For more information about the annual Steam And Vintage Fair see www.bonaccordsteamclub.co.uk which has information about ticket prices for an adult or a family of four, child or pensioner concessions. 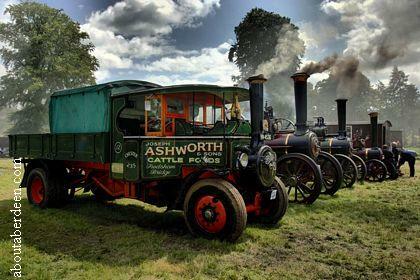 Previous exhibitors a the Castle Fraser Steam Fair has included a 1924 Aveling and Porter steam engine owned by Alfie Cheyne from Banff a threshing machine and a working sawmill. Entertainers have included the Celebration Singers from Pinehurst North Carolina, America and the Strawberry Hill Fiddlers from New York, USA and the Scottish Fochabers Fiddlers. There has also been a kids play area organised by Kingscliff Sporting Lodge along with various stalls and children's entertainment such as face painting, balloon making and a puppet show. Adults and children have been able to ride or even drive an engine.